This award recognizes an RN who initiates and partakes in political action that benefits the health of individuals, clients, or profiles or positively positions nursing. 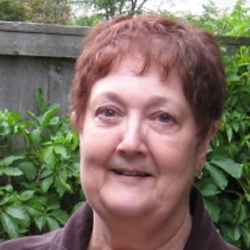 Una Ferguson has been a member of RNAO for 16 years, and actively involved in Region 10 for more than 15 years. An RNAO board member for two terms (four years) beginning in 2011, Ferguson has become an important mentor for members and nursing students alike, encouraging all to take on leadership roles in RNAO. She is the brainchild behind Region 10’s ongoing and very successful Breakfast with the Politicians, which began in 2003. Through her dedication, this event now happens annually on or before Nursing Week, and provides a forum for members to meet and discuss important issues with politicians at all levels of government. As the region’s policy and political action executive network officer, Ferguson is a regular at events such as Queen’s Park Day, Queen’s Park on the Road, and Take Your MPP To Work. Described by her nominators as a “well-respected role model,” Ferguson is always making sure colleagues and students who are new to political events feel included and feel that their voices have been heard. She understands the power of social media to engage with political decision-makers. That’s why she created Region 10’s Twitter and Facebook accounts. She also sees the value of technology for knowledge sharing, and initiated the use of Skype to enhance the involvement of, and communication between, members across Region 10’s large catchment area.